It’s amazing to watch kids these days as they’re thrust into roles that make them seem a lot more grown up than they really are, but one has to remember that they’re still kids. 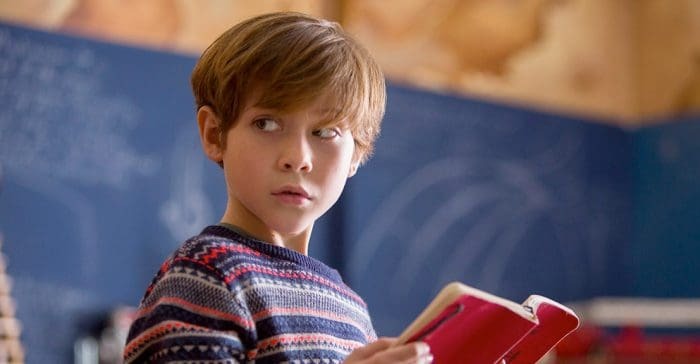 Jacob Tremblay is one of the more successful child actors of the current era and has been given roles that would be able to elevate just about anyone with enough talent. In every role he’s done Jacob has managed to wow the audience in ways that was never fully expected but has almost always been nothing less than appreciated. This kid is no doubt going to be someone huge in show business if he keeps going on as he is. One might wonder though if at some point he’s going to want to take a break since his accolades are already beginning to pile up a bit, which might mean that the pressure is too. Hopefully he gets enough time between projects to just be a kid, since being famous is great, but a person needs to experience the joy of childhood too. Here are a few things about Jacob you might not have known. 10. Jacob is a big Star Wars fan. He has a dog that he named Rey, after the main character from the new trilogy, and he’s shown that he absolutely loves the film in a few different ways. Obviously this kid still has his sense of wonder after being in front of the camera, which is great. 9. His presence on social media is just phenomenal.